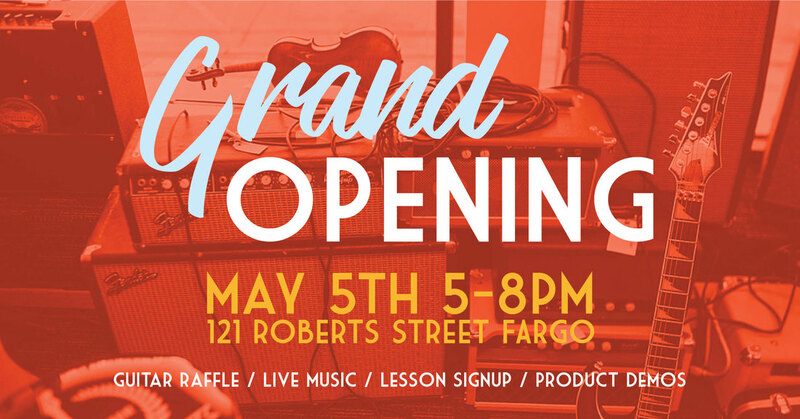 Come celebrate the Grand Opening of Amped School of Music and the new and improved move of Gruber Guitars. Gruber Guitars has been making quality hand-made guitars and helping people make music in Fargo since 2010. Guitarists from bands such as the Red Hot Chili Peppers and X Ambassadors play Gruber Guitars. Amped School of Music is Fargo's new place to empower, connect, and celebrate musicians. Learn to make music from Fargo's performing musicians. You can help out our cause by donating to our GoFundMe.